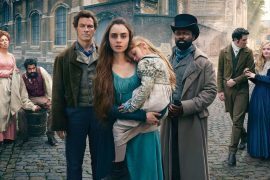 After last week’s flat time-filler, season 2’s penultimate episode, “Such Sweet Sorrow”, also delays gratification - even taking us into the end credits on an agonising note. But it at least used time wisely and kept the focus on the characters, which will help during a finale that could be more plot-heavy. 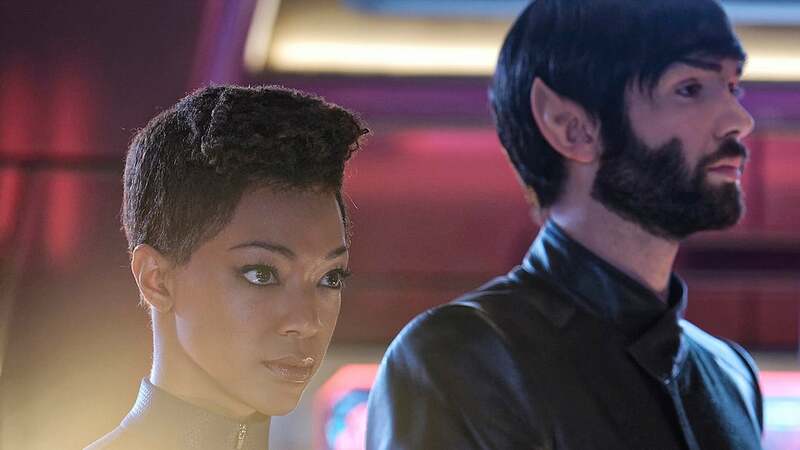 As the title suggests, this was all about fond farewells—for both the USS Discovery and for Michael Burnham (Sonequa Martin-Green)—and it managed to effectively set up what’s hopefully a climax this season deserves… despite a few bumps in the road. 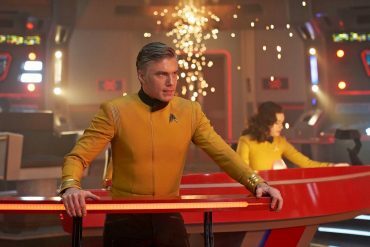 The USS Discovery’s crew is evacuated to the USS Enterprise and set to self-destruct by Captain Pike (Anson Mount) and Saru (Doug Jones), but the ship unexpectedly protects itself now the alien sphere’s data has merged with Discovery’s computer and is becoming self-aware. This setback encourages a different approach to remove the sphere’s knowledge from the grasp of wayward program Control, now inhabiting the body of Leland (Aaron van Sprang) and about to descend on their position with a fleet of Section 31 starships. The idea? 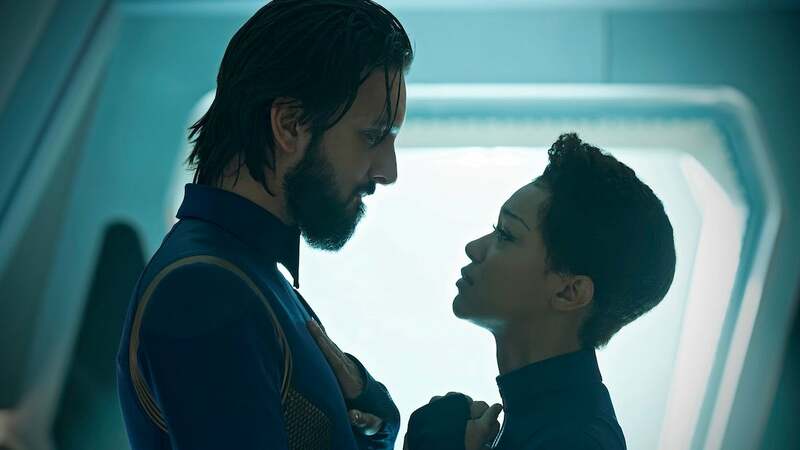 Send the USS Discovery into the distant future, where Control can’t possibly find it, by putting Michael inside another time-suit and sending her on a one-way trip with Discovery in tow. Some of this makes sense, as a discussion of the plan involved the characters realising Michael must be a second “Red Angel”, but one responsible for creating the ‘seven symbols’ Discovery’s been following all season. They’re breadcrumbs to get them to this point, helping them take this course of action to deny Control the sentience it craves. I don’t buy into the idea that someone wearing a time-suit can drag an entire spaceship into the future behind them, but that’s probably evidence the writers didn’t quite know the pesky details of where this year’s story would lead. The vast majority of “Such Sweet Sorrow” was dedicated to a number of emotional goodbyes, as Michael’s friends and family gathered to wish her bon voyage before many of them decided to accompany her aboard Discovery. The problem with tearjerking scenes like this is that, deep down, you know Michael will be coming back. 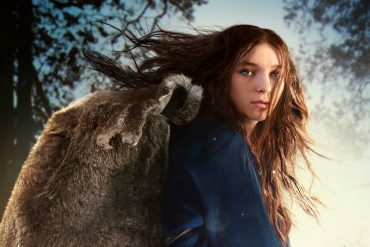 She’s the lead character of the series, and we’re too aware the actress hasn’t quit her job. But I still enjoyed some of the scenes, the best of which was Michael’s meeting with her adopted parents, Sarek (James Frain) and Amanda (Mia Kirshner), which was another wonderful showcase for how invested Martin-Green is with her character. Frain was also great at judging how much he could push things without it seeming out of character for an emotionless Vulcan. 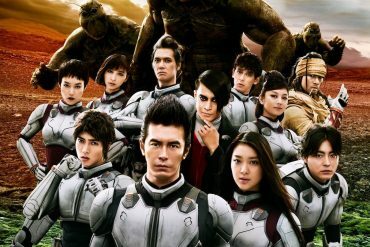 It’s always tricky, as you don’t want Vulcans to be too stoic and detached, but they also can’t be smiling or in floods of tears. Frain found a good balance and the scenes worked very nicely. I’m also surprised but delighted that season 2 has woven itself into the Short Treks series more than expected. I didn’t think those ‘minisodes’ would have any impact on the mother show and had only been created to tide fans over (which is probably also true), but after “The Brightest Star” was revealed to be a helpful prequel to “The Sounds of Thunder“, it’s clear now the short “Calypso” (where the USS Discovery was mysteriously unmanned a thousand years in the future) foreshadowed where season 2’s story is headed. It might even explain how the ship’s computer was a form of artificial intelligence (voiced by Annabelle Wallis), as I assume the sphere’s data evolved alongside the ship’s computer to create it. My only question is how Discovery is going to come back to the present day, as we presumably aren’t going to lose the titular ship forever. Unless, of course, season 3 of the show unveils the USS Discovery NCC 1031-A? “Such Sweet Sorrow” also provided an unexpected link to the first Short Trek episode, “Runaway“, which seemed like a more inconsequential story. But here, Tilly (Mary Wiseman) was reunited with the alien queen she met during that tale, “Po” (Mimi Kuzyk), after travelling to her homeworld of Xahea to ask for help with their time crystal. 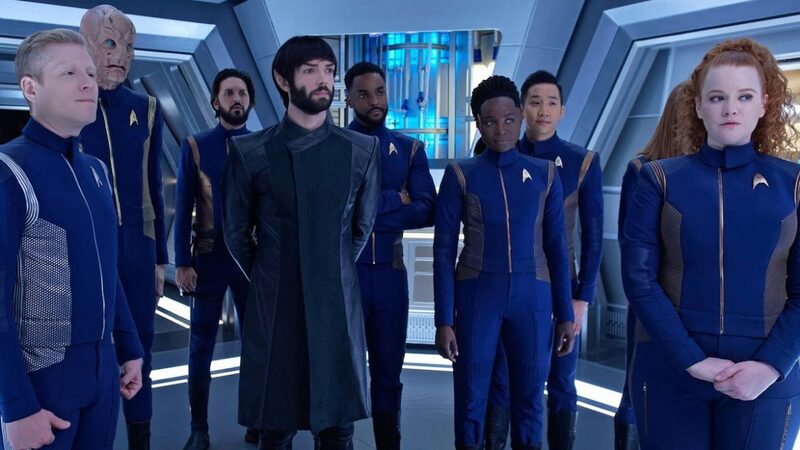 Some aspects of this subplot may have felt a bit odd or convenient if you didn’t watch those Short Treks, which only became available on Netflix shortly before season 2 debuted, but I was just pleased to know the Short Treks are glimpses of what the full season has in store. Or ways to deliver exposition in an entertaining way without burdening the actual season. 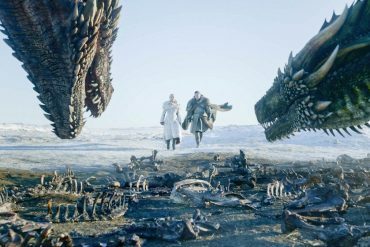 I enjoyed this episode, but it was nevertheless almost a solid hour of people saying goodbye and just prepared the ground for the finale. It had a job to do, and it did it well. It was also great to see aboard the iconic USS Enterprise, with its slightly more retro design, which I think struck a good balance between the classic 1960s look and the ultra-modern sensibility Discovery has. There’s always a cute wink to the stylistic oddness, too, which I appreciate, like when Georgiou (Michelle Yeoh) passed judgement on those orange Enterprise shirts with a “yuck”, or when Number One (Rebecca Romijn) mentioned they’ll never use the holographic communicators. But this isn’t an episode one could watch in isolation, as it’s essentially the first half of the finale. A preamble. The calm before the storm. I don’t know if the space battle between the USS Enterprise and the S31 ships will eat up a significant amount of time, but it should kick things off on a high note. 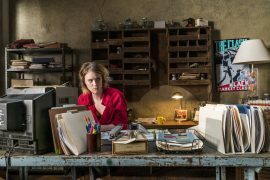 The season still has a lot of questions to answer and loose ends to tie up - not least the probable rescue of Michael’s mother from her time-hopping torment. I’m also very intrigued to see where this season leaves things, as it’s possible a third season could now take place 1,000 years into the future with a skeleton crew. 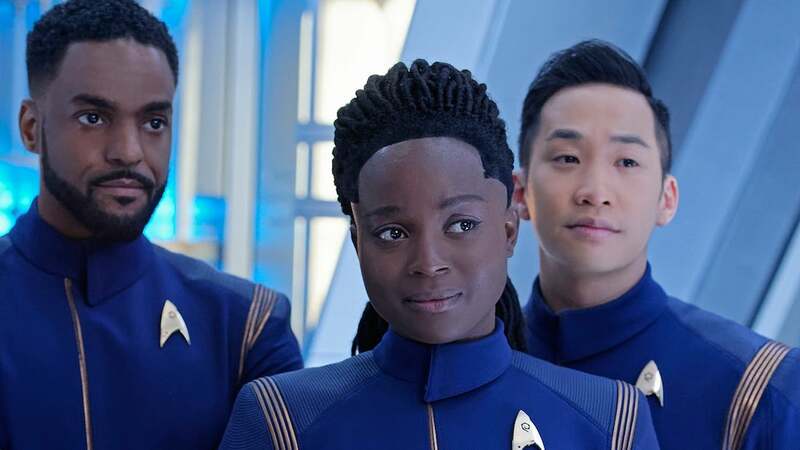 That might give the writers time to properly answer the numerous questions “Calypso” raised, but might also be fascinating to see Star Trek: Discovery go from prequel to sequel. Even if it’s only for short arc, seeing what the Federation has become a millennia later would be a treat for fans.